Hello Max, so where ya from & where ya at, geographically speaking? Max: I currently live in Edinburgh but I was born in India as part of the huge ex-pat Scottish community who worked in the jute mills there and brought “home” when I was six. I’ve since lived all over the Untied Kingdom from London to Orkney and I settled in Edinburgh seven years ago when I totally fell in love with the city. Which poets inspire you, both old skool & today? Max: I have very catholic taste in poetry and the people I read tend to range from Poe to Pam Ayres. I’m a great fan of the late 19th and early 20th century nonsense writers, like Edward Lear, Hilaire Belloc and Harry Graham – and of course the iconic Victorian to Edwardian female poets like Christian Rossetti, Emily Bronte and the absolutely stunning and underrated Charlotte Mew. Contemporary poet wise, most of the people I admire tend to be featured in my shows, since when I find a poet or performer who inspires me I stalk them until they agree to take part in a Poetry Circus gig. It’s hard to single any one poet out, they’re all so good, but I’ll make a quick mention of our two fantastic headliners, Rosie Garland and Elise Hadgraft, who really push poetry to the furthest realms of its borders and use words in ways that even cynical old grumps like me find themselves amazed by. You have traveled to, & perform’d in, events all over Scotland. How do you find the Scottish poetry scene? Max: Poetry ‘scenes’ differ from country to country and even city to city, but the Scottish scene is particularly imaginative and vibrant right now. Rana Marathon is doing wonders in Perth; Glasgow is flourishing with Sam Small and Kevin Gilday & Cat Hepburn putting on regular nights; and though we’ve lost Blind Poetics and Soap Box here in Edinburgh there’s still Inky Fingers, the Goddamn Slam, Loud Poets and, of course, new girl Jacqueline Whymark’s runaway success, From the Horse’s Mouth. Can you tell us about Poetry Circus? Max: Yes. Poetry Circus started way back in 2014 after a chance meeting between myself and the dancer/poet, Josie Pizer, at a writers’ workshop. We had both been bemoaning the lack of theatre in poetry gigs, and the tendency of some poets to stand hiding behind the mic with their nose buried in their very expensive Paperchase note book, mumbling what was often really good poetry. What we really wanted to see was more visually stunning work, and more of poets who could demonstrate a big personality on stage. We were also particularly keen on ‘poetry’ that was expressed with more than just words, and, before we quite knew what had hit us we’d formed a spoken word theatre company and, over the last four years, we’ve hosted dancers, performance artists and film-makers under our all-encompassing banner of poetry. What does Max Scratchmann like to do when he’s not being creative? Max: I think I’m always being creative. In addition to my writing and performance work I’m also a visual artist & animator and an occasional tutor and workshop facilitator, plus I find time to be an artist’s model and – currently – a living sculpture in an art installation. You’re about to shoot the meteor of dazzling wordplay that is Poetry Bordello back into the Fringe’s poetical stratosphere, how did you get involved & are you excited to be back? Max: Because a lot of my personal work is comedic I’m quite heavily in demand for cabarets – particularly during the Fringe – and, as such, i became very intensively involved in the burlesque scene a couple of years ago and was blown away by some of the performers and performance artists on that stage. It occurred to me that a lot of burlesque acts were visual poetry and lots of the artists make statements on important issues like gender politics and personal sexuality, so from there it was only a short hop towards inviting burlesque performers to join the Poetry Circus regulars, and the chemistry that we’ve discovered between the artistes is electric. Can you tell us more about Poetry Bordello? Max: Poetry Bordello is a unique show because it fuses physical performance art and burlesque with spoken word and poetry and provides a safe space for poets to perform their more personal work on themes of sexuality, gender and personality in a supportive environment. Plus they get to dress up if they want to! Who is the MC & is she any good? What acts have you got for us this year? Max: We’re totally thrilled to be presenting bestselling novelist and chanteuse Rosie Garland headlining on 9th August, and Elise Hadgraft aka Corporationpop on 16th August before she heads off to Berlin to start a world tour with her new punk band; plus a mouthwatering array of slam-busting performance poets including the Belfast Slam Champion, Elizabeth McGeown, Imogen Stirling, Gray Crosbie, Max Scratchmann, AR Crow, this year’s Stanza Slam Champ, Jo Gilbert, Suky Goodfellow, Orla – Sparklechops – Kelly, Katy Kat, Express Yourself’s Carla Woodburn and the poet laureate of Aldi, our very own Angie Strachan; plus we’re super chuffed to be welcoming back the renowned sideshow dancer and choreographer, Andromada Mystic, from Sanctuary of Sin plus astounding physical performers Taylor Swift 666 and Sharrow. Why do you think the blend of spoken word & burlesque works so well – especially in the hands of Poetry Bordello? Max: As I’ve said, there’s a lot of visual and physical poetry being expressed on the burlesque stage right now, and the presence of physical performers in a spoken word gig is very inspirational to poets and encourages them to explore their own range of movements and visual appearances. We’ve been doing a series of photoshoots over the last few weeks, using the themes of bordellos and Edwardian music halls, and in particular the photography of E J Bellocq, and the performers have been pushing their own limits and have a whale of a time. What do you think the audience will take away from the performances? Max: Hopefully, they’ll have a totally amazing time but also find themselves thinking about some of the themes raised and maybe want to rethink their own attitudes on gender stereotypes and sexual labelling. You’ve got 20 seconds to sell the show in the street, what do you say? Max: Did you really, really hate poetry when you were at school? You’ll love this. What will Max Scratchmann be doing after the Fringe? Max: I’ll be producing a new show called Speakin’ Cajun with the Jennifer Ewan Band at the Traverse Theatre on 22nd September (and we’re doing a shorter Fringe version at Woodland Creatures on 22nd and 23rd August); plus I’ll be touring and appearing in cabarets and hopefully finishing my latest book of short fiction. 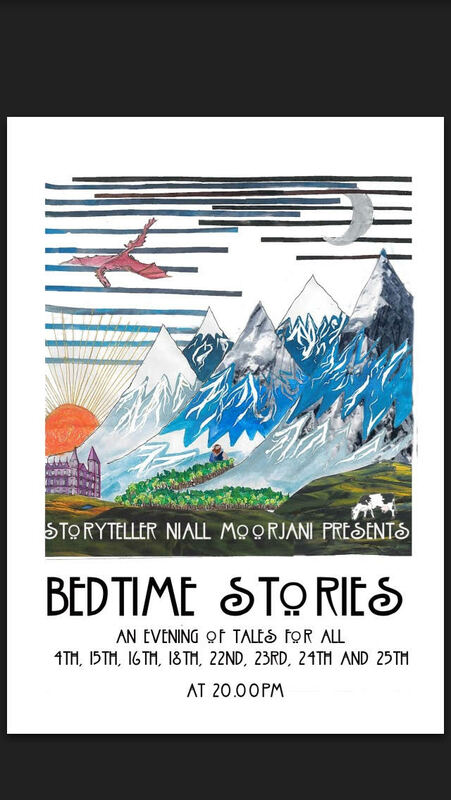 Can you remember when you were a kid & you got a story at bedtime… well Niall Moorjani certainly does, & he’s created a brilliant selection of tales for the Fringe. Hello Niall, so where ya from & where ya at, geographically speaking? Niall: I am from Dundee originally and currently live in Edinburgh where I have lived on and off for the last six years. Niall: I’ve always loved to write and obviously that is a form of storytelling, but the first time I realised was when I got a job doing Ghost Tours around Edinburgh. I was doing the training and my trainer just looked at me and said “you have got it, you will need work, but you have got it.” I am very rarely good at things so this was just a lovely thing to hear and I have been telling tales ever since. Niall: Thomas the Rhymer by Ellen Kushner, The Woman in White by Wilkie Collins and The Lord of the Rings Trilogy by J.R.R Tolkien. What does Niall Moorjani like to do when he’s not being creative? Niall: My main source of income is tour guiding, which has taken me all over the world. But at the moment I am very much sticking to tours around Scotland and Edinburgh. I am also pretty sporty, in no way does that mean I am good at sport, but I love playing tennis, cricket, rugby, football, etc, ect. Essentially my criteria for a good sport is the same as a Labrador’s; if there is a ball and I can chase it, it is a good sport. You are bringing Bedtime Stories to this year’s Fringe, can you tell us about the show? Niall: It is a live performance storytelling show, so no paper or books, everything is learned off by heart. The reason it is called Bedtime Stories is because it is told through the medium of a father telling his son just those. Essentially the kid asks for a story and all the stories you hear throughout the show are for him. They contain everything you want from good traditional tales: giants, witches, heroes, heroines, lovers, sorrow joy and much more. The stories are also accompanied by live music which adds a sense of serenity and magic. What we are trying to do is get people back into listening to stories like they did when they were children,so as adults we just seem to think it is childish. However, there is no reason why adults can’t enjoy tales told in the same way. So hopefully the show will help fit into and continue the very old and rich tradition that is storytelling. That rather sounds like a modern version of The Canterbury Tales, 1001 Nights & The Decameron, were you inspired by the format? 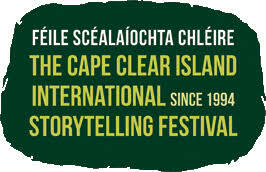 Niall: The idea of stories within stories is one I have always loved. As you say it is obviously very old and a classic storytelling device, a way of sending a thread to tie together all the little stories you have and make them into one. So most certainly yes, yes I was and I only hope we are doing the device justice. How did you select your tales, & which one has the most obscure origins? Niall: So I write them myself, generally when people don’t throw things at me while I tell them I assume they are good enough and make it into the show. But they are all original tales which I think is important. At the moment there seems to be a divide between traditionalists and modernists when it comes to fairy tales. Traditionalists don’t want to see the stories updated as they feel that causes them to loose authenticity (which is nonsense as stories are always evolving). And modernists often want to subvert and break down the concepts that make fairy tales tick, but for me in doing so they often lose that magic that was so captivating when we were children. So with my stories I am hoping to do both, update old ideas and make them accessible for a modern audience; whilst maintaining the traditional feeling and magic of old fairy tales. So they feel like old stories, when I don’t tell people I wrote them they just assume they are classic stories, but dig a little deeper and they are clearly not. Very few old stories contain gender neutral dragons, male witches, queer love stories, or even female heroes. I don’t know if I have done a good job of this, but my dream is to be able to read stories to my kids (if/when I have them it is a while off), and my kids could be any kind of person, so I have to write stories for all they could be. Your storytelling will be accompanied by two musicians; who are they, what do they play & how did they get involved? Niall: So myself and the lovely Anna-Marta were sat chatting in a pub with some pals and I was telling her about the show, and I just asked if she fancied being involved. She said she wasn’t very good (which was a filthy lie) and it started with her playing guitar in the background while I told stories. I then learned that one of my colleges at work played the harp and asked her if she fancied being involved too. She did and Ruth is amazing (despite denying it hugely). So now they have become integral to the whole show, with their music they add an extra layer of emotion and rhythm which make the stories so much better. It is like having two audio-illustrators and Anna-Marta has even written the show a song. They easily worth seeing in their own right, so to have them on board and so heavily involved is such a treat. Can you tell us about your venue, Edinburgh’s Radical Bookshop? Niall: Lighthouse is amazing! Firstly it is just the nicest bookshop in all the land, you shouldn’t judge a book by it’s cover, but there are so many pretty covers. Going in and not coming out with something is a serious issue. However, I think more important is the community the bookshop represents. It stocks a huge amount of feminist, queer and politically radical literature which is otherwise very hard to find. It also hosts events surrounding these issues and many more allowing for people to have a space to enjoy literature that is aimed at them and is so often forgotten by the main stream. I am hugely grateful for the chance to perform in such a lovely and welcoming space. Telling stories surrounded by the coolest books is a genuine privilege. Niall: I just hope they leave feeling like the stories were accessible and heartwarming. They are not especially clever or sophisticated, so the real aim is to just make people feel something. In a dream world they will leave feeling like they once did when their family members told them stories when they were children. In an even dreamier world they will retell the stories and make them their own. Niall: To publish the stories would be a wee dream come true, but immediately after the Fringe I am moving down to London to start a Masters in Public Histories where I can indulge my far more nerdy side and hopefully continue performing as much and as often as possible.